Heating and air conditioning comprise the majority of the average home utility bill. 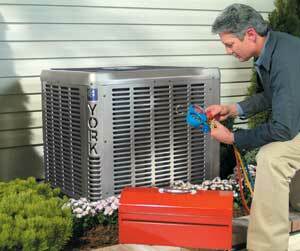 We're a Torrance air conditioning company who will keep your system efficient and reliable! We offer repair, replacement and preventive maintenance. HVAC Consulting Heating and Air Conditioning Sevice provides air conditioning and heating solutions at competitive prices. We are proud of our reputation and the hvac services we offer. Making sure we build relationships with our customers and gaining long term relationships is what we strive for. One of the single most important aspects of our company is the people who look after you. At HVAC Consulting Heating and Air Conditioning Sevice, we have a great team of hvac professionals who will be pleased to answer any questions you might have - we're here to help. We work closely with our customers to make sure we fully understand your needs and provide the right products for your business or home. "...Now, in a very short amount of time, with a very modest cost, we have systems that are much better than the originals." "Jeff thank you for the outstanding job your company did installing our new furnace..."
"Your professionalism and attention to details is second to none."